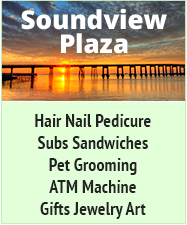 Navarre Beach restoration is now "stalled"
"The already-delayed Navarre Beach restoration is now stalled until at least the end of April because of an equipment breakdown that has hit the dredge-and-fill contractor, Weeks Marine Inc. Uncertainty still surrounds exactly how much of the $17 million sand-moving effort will be footed by beach property owners. County Commissioners are discussing budget possibilities that could reduce leaseholders’ share from previous estimates that reached about $500 to less than $100 – or even to nothing. Meanwhile Weeks is working round-the-clock to finish its current sand replacement project at South Siesta Beach near Sarasota. But a Weeks dredging vessel that is scheduled to start working at Navarre Beach after finishing in Sarasota County suffered a maintenance problem last week and is now in dry dock. Thus, Weeks Marine’s Sarasota work probably can’t be finished until near its deadline there, April 30. Sarasota officials set that time limit to avoid interfering with the area’s turtle nesting season in May. “We had hoped the work would be finished by the middle of April, but without two dredges working they can’t do it,” said Paul Semenec, Sarasota County project manager, in a phone interview earlier this week. 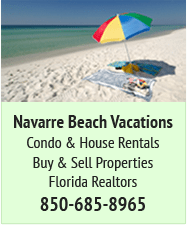 The Sarasota setback means Weeks Marine can’t begin the Navarre Beach work as scheduled until after the annual spring break season, which is a mixture of good news and bad to some hoteliers. They have expressed concern that the work, which will require closing sections of the beach periodically, will discourage tourism. 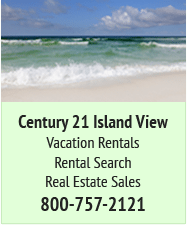 “It’s better because spring break will be over, but still with a later date it will be further into the summer before they finish,” said Liz Horton, a marketing manager at Wyndham Vacation Resorts in Navarre. The Navarre Beach contract requires Weeks Marine to finish within 180 days of its start date, an obligation the company will be held to despite delays elsewhere, according to County Engineer Roger Blaylock. Although the sand replacement can’t start until the dredging vessels move here from Sarasota, Weeks is expected to put some pipe and other equipment on the beach any day now. A similar scenario at Pensacola Beach resulted in Weeks Marine gear being stored on the beach from November, when that project was supposed to start, until February, when it was postponed until after the Navarre Beach work. “I just hope that doesn’t happen here,” Horton said. The Pensacola Beach restoration endured continual weather delays before it was finally suspended. The Navarre Beach delay has its origins in another project by New Jersey-based Weeks Marine, which had originally scheduled the completion of its restoration at Broadkill Beach in Delaware last September, but that project has been set back about five months because of maintenance issues and Coast Guard inspection requirements. That delay meant that Weeks’ renourishment project at South Siesta, which had been slated to start in January, was also put on hold. The same dredging vessels being used in Delaware and Sarasota, the B.E. Lindholm and the R.N. 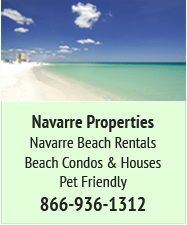 Weeks, are scheduled to perform the Navarre Beach restoration, the company said. The B.E. Lindholm is the vessel currently relegated to dry dock. The formula for paying Weeks Marine’s bill is a work in progress which the commissioners may further discuss today. 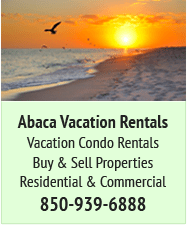 The money is slated to come from a combination of state and county funds, a federal grant and -apparently–from beach leaseholders. But the latter group’s share may depend on whether commissioners decide to use some county financial reserves, tap into the roughly 2,000 leaseholders’ annual fees or establish a special taxing district." In my opinion, it should actually be a tourism draw!! We visited, just prior to our relocation to Santa Rosa County, during the 2006 restoration ... it was AWESOME!! The shelling was better than ever and there was always something interesting to watch going on offshore. It did not impede our activities one bit! Albeit, we don't surf, dive or snorkel so I can't speak to those activities.